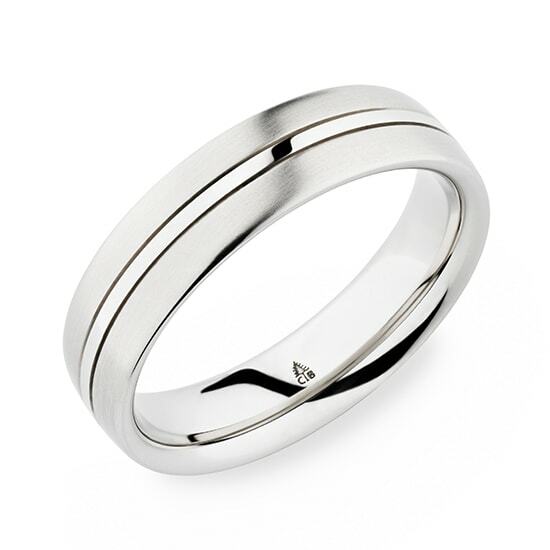 This elegant, modern mens band is 18k white gold with a satin finish and a thin high polish band in the center. 6mm. All Christian Bauer bands are hand made in Germany. This ring can be customized in additional widths and sizes. Call 212-566-8977 or write [email protected] for more information on custom orders.